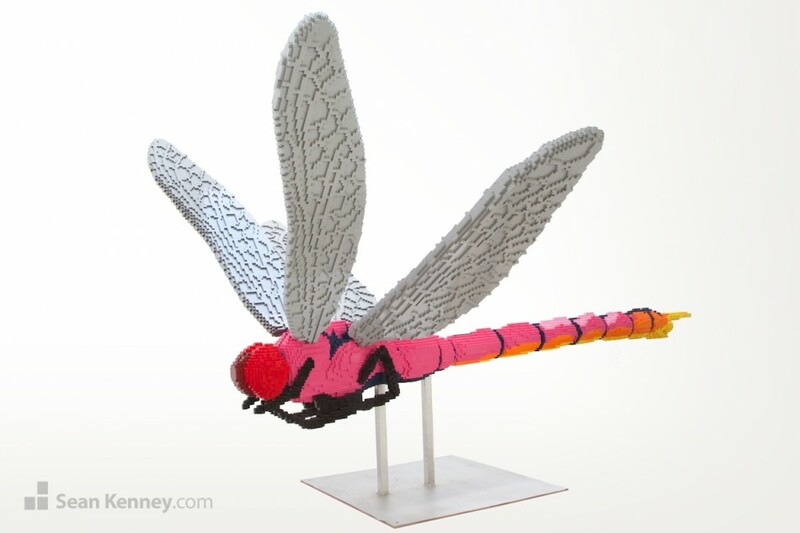 This piece is designed to be installed just above water level in a pond or lake, with the metal plate slightly submerged. 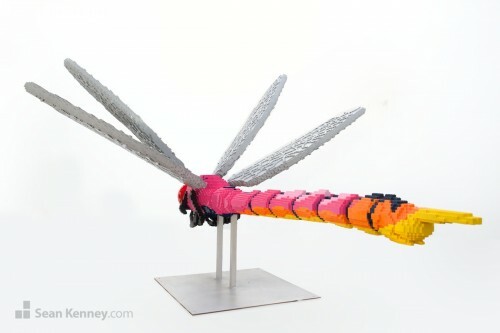 I created a smaller dragonfly in 2011; this time I wanted to make something magnificent in scale, color, form, and delicateness. 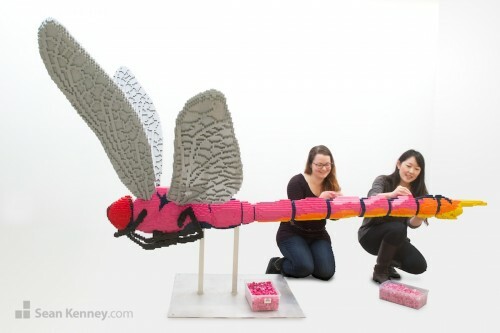 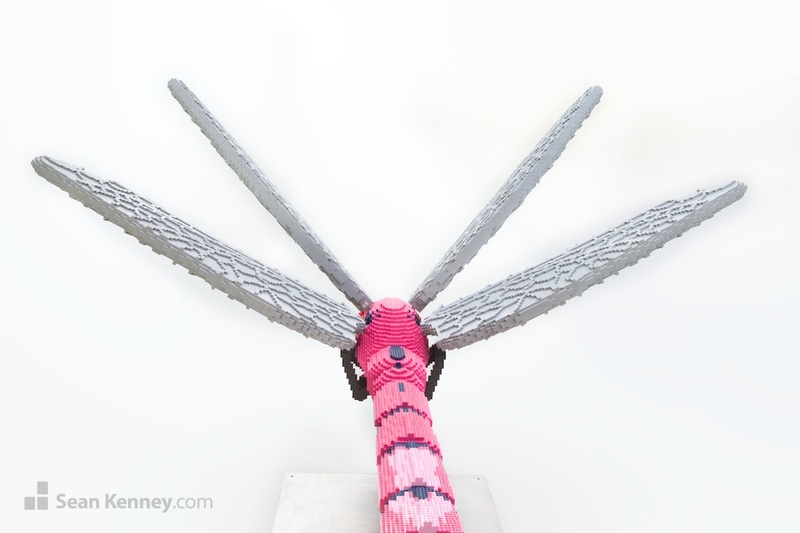 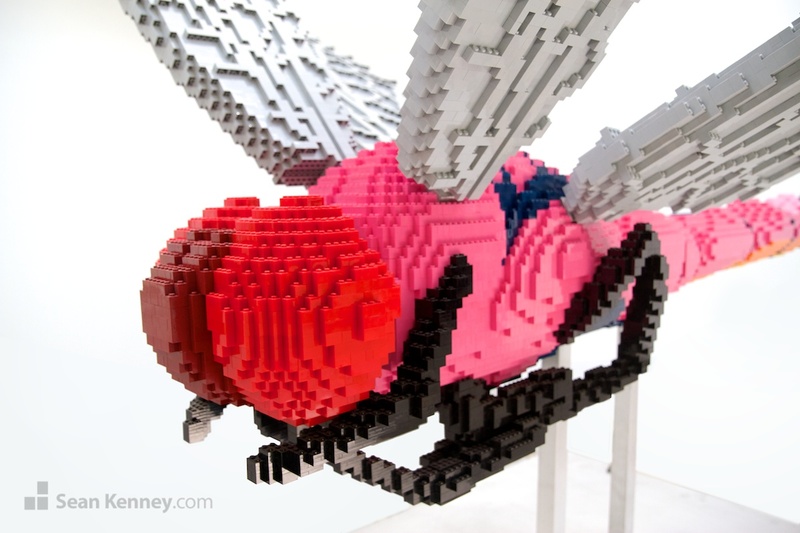 By orienting the wings diagonally from the LEGO grid, I had the opportunity to add the texture of the wing’s veins and membranes, giving even more character and delicateness to a sculpture that belies its 250 pounds. 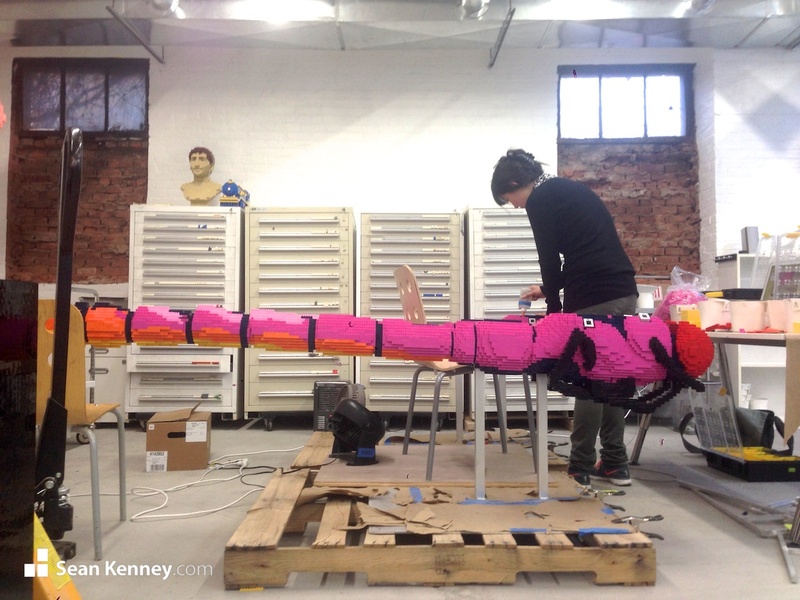 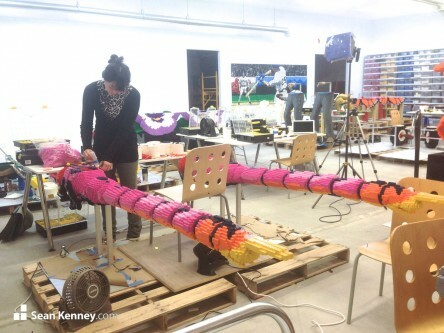 This sculpture is over 8 feet long, 8 feet wide, and 5 feet tall! It took over 515 hours to build (1030 hours for two copies!). 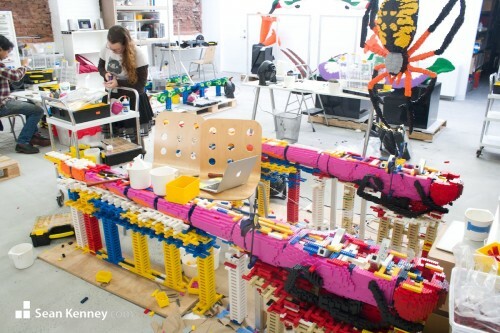 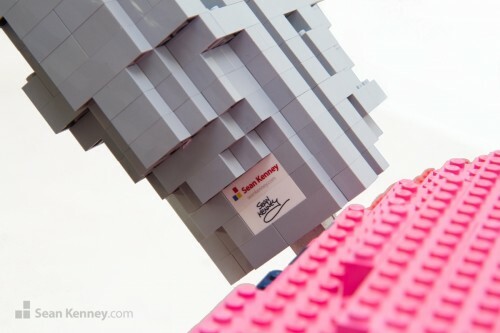 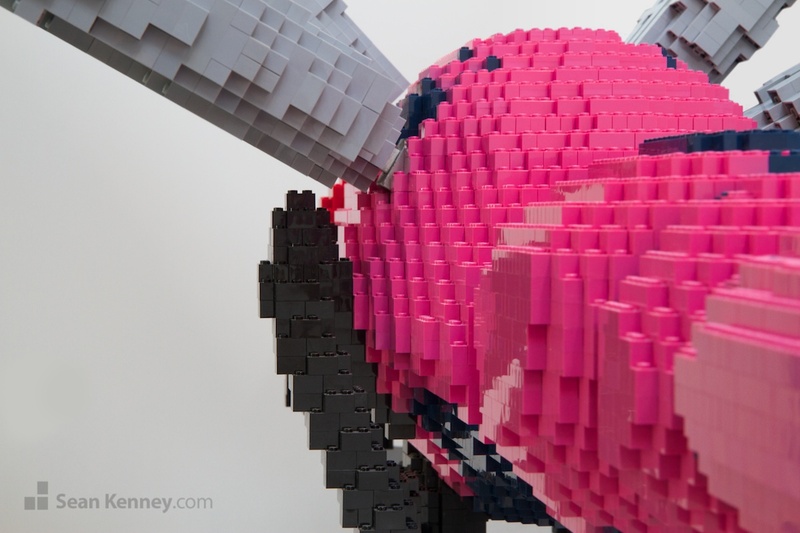 The sculpture contains 27,788 LEGO pieces, and every piece is glued one-by-one around a custom welded metal armature. 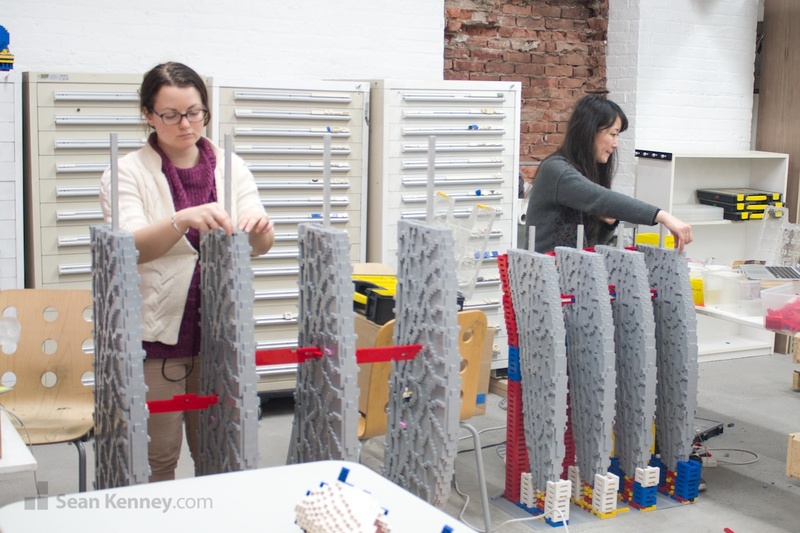 My assistants Valerie and Natsuki built the sculpture over the course of four months full-time. The wings (above) are removable for transportation; they are reinforced with a metal bar and insert into metal slots in the body (see below) at an angle. 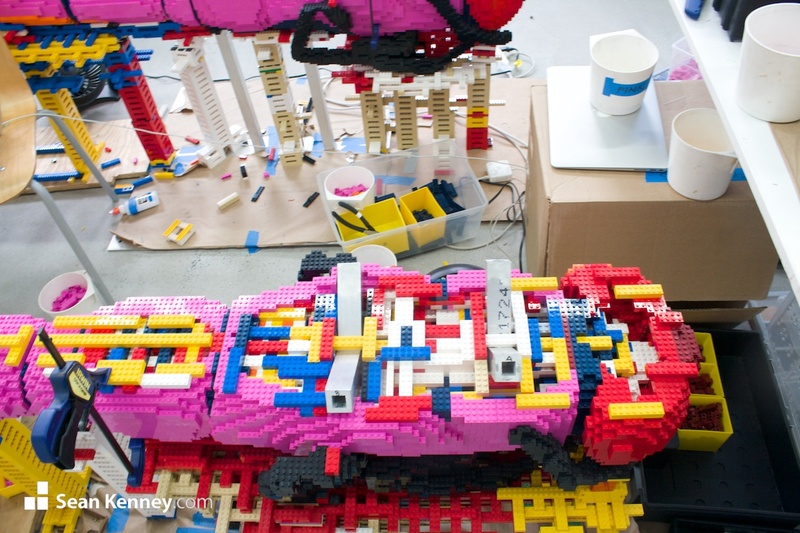 Since most of the body is “hovering” in the air, we had to built lots of scaffolding up from the floor (see below, the yellow, blue, red, white pieces) to hold the model up until it was complete.